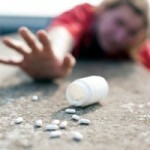 Drug addiction – is a chronic disease caused by the use of narcotics. 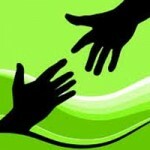 Therefore, people suffering from this disease, are referred to as drug addicts or, simply, addicts. The danger of such a diagnosis is completely physical and psychological dependence on a particular drug or groups of drugs. This dependence is slowly but surely killing a person, suffering from it. There is a process of unconscious suicide because a drug addict will expose his body to cruel torture. Euphoria is an integral, and indeed, the most important reason for the enthusiasm for drugs. This feeling is able to “carry” a man as far as possible from the pressing problems, worries, and disturbing thoughts, give a feeling of complete freedom, universal happiness, permissiveness and, even paradoxical, regardless of everything and everyone. But the “high” is ha to be paid, and the pay – is withdrawal syndrome, following the ending of the drug action and already developed addiction. If you do not give your body the next dose of the “necessity” drug, it will react immediately, causing excruciating physical pain seemingly every cell of the body. No wonder that in such condition the addict is ready to do anything for another “dose”: theft, assault and other criminal atrocities up to the murder. Sadly, but drug possesses the human mind and motivates him, speaking mildly, to strange and unacceptable behavior. Miracle agent comes out on top in the life of a dependent, pushing far behind family, friends, loved ones, work, hobbies, and other interests. There is a new social circle. Despite all the horrors of drug addiction and a huge number of deaths that have occurred as a result of drug use, their popularity is not falling, and it is not so difficult to get the most simple and relatively cheap ones. Drug addiction – is a disease that has no age, so can “hit” any person, regardless of gender and social status. Though, of course, the category of risk often includes children and young teens. This is understandable: among this age group there is a process of development and formation of the person, there is a search of the self, the formation of life values, interests, and hobbies. Often, young boys and girls who love to experiment and discover new aspects of life, willing to try everything, including drugs. Especially if they can be affected or at some moment fall into the social circle of people, familiar with the effect of psychoactive drugs and offering to experience new sensations. No one in the world wants to be a witness to the slow death of a loved one or relative, especially a child, as a result of regular drug use. Therefore, it is very important to recognize the existence of such problems at an early stage when there is still a hope for salvation. changing the regime of food consumption and eating habits ((drug addict can do not eat all day and in the evening to pounce on the food with the “wolf” appetite; those who had eaten little, start to consume a lot of food, and vice versa. If before the person was selective in eating, now he eats everything on the principle “the main thing – is to satisfy hunger no matter how’. The style of eating is also changed for the worse). The following characteristics are generalized much, and the reasons for such changes may be unrelated to the drug. This is especially true of adolescence, when, and there are so many changes. To recognize in the drug addiction in your loved one, you should focus on the changes in his character and behavior. How does the addict behave? When a person becomes addicted to drugs, the changes in his behavior do not keep you waiting. The changes are striking and visible to all associates who are well acquainted with him. If the changes are taking place, it is necessary to closely watch that person. The first addict changes his circle of contacts. There are new friends, which are more interesting than the old, and that, of course, willing to share a new hobby. If we are talking about a teenager, as a rule, his communication with the outside world is limited by a new company. At home, he feels uncomfortable and seeks to minimize his time at home. Interest in pharmacology and contents of your medical chest can be a new passion, evidenced not about choosing a future profession, and about the urgent need to understand the properties and availability of a variety of freely available medicines. This is another alarming bell. The addict is always accompanied by a state of high nervous excitement, which manifests itself in sudden and inexplicable mood swings, excessive irritability, nervousness, and depression. There is a feeling of indifference to happening around them events. Even the movements of the body are changing and becoming more abrupt and uncoordinated. But what notably betray the addict, it is the need for money, because the drugs are quite expensive “pleasure”, especially strong, such as cocaine, heroin, barbiturates, methadone, ketamine, amphetamines, etc. For a teenager – it is the need to increase the pocket expenses and to achieve this all methods is good. Testifying about such needs can disappearance of valuables from the house and stealing. Teenagers, as a rule, tend to be less vigilant and cautious and can’t hide the traces of their addiction well. 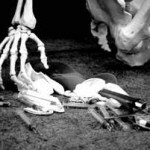 Therefore, among their personal belongings may be found the needle, syringe, tourniquet, foil, lighters, cigarettes, glass vials, fleece, empty boxes of allergy medications and even sooty spoon. How does a drug addict behave? Often, addicts do not look after their appearance and differ in slovenliness and the desire for closed dark clothes, regardless of the time of year and the weather. This “style” is dictated by the need to hide the traces of intravenous drug use and consequences. Appearance and well-being of the addict are changing for the worse: sickly pallor, missing bleary eyes, dilated or too constricted pupils, rashes and characteristic spots on the face and body. Drug use is accompanied by irregular blood pressure, intestinal disorders, persistent cough or a runny nose, bad breath. The use of a particular type of drug is accompanied by characteristic signs and symptoms that indicate what kind of drug group the person is dependent on. Opiates (morphine, codeine, methadone, heroin, etc.) are quite common and in demand all over the world thanks to its “power”, carrying the state of complete peace and harmony. Their use can cause complete dependence from the first and second use, and, therefore, they are among the most dangerous and expensive. As a rule, it is taken intravenously. A man, regularly taking drugs of the opiate group, suffers from excessive sleepiness and stretch speech. Addict occasionally falls asleep while talking, because of what has been losing all thought and repeats several times. His physical condition is characterized by a decrease in pain threshold, an unnatural contraction of the pupils, pale skin, and swelling of the lips. By its action the cocaine is opposite (tones, increases the activity), and ranks second place in the world by “problem” after them. It is extracted from the leaves of the coca, processed and reaches the consumer in the form of a white powder. Cocaine addicted people suffer from high blood pressure, rapid heartbeat and breathing, increased sweating, sleeplessness, loss of appetite, anxiety. They have dilated pupils and periodic hyperactivity. With frequent use of cocaine, there can be a loss of feeling and numbness from the chest area to the eyes. Psychostimulants are a large group, basically, synthetic and semi-synthetic drugs (amphetamines, caffeine, ephedrine, ecstasy, etc. ), and stimulating the mental activity of the organism. People dependent on them are very quickly, aggressive, irritable and suspicious. A feeling of constant anxiety develops suicidal tendencies. At the use of certain stimulants, the libido is increased significantly. Psychedelic drugs (LSD) can cause various kinds of hallucinations, resulting in a possible loss of self-control, increased heart rate, tremors in the hands and the increase of pupils. Hemp (Cannabis) acts as a psychedelic drug, it means that it can cause hallucinations by changing consciousness. The man who has used the substance is restless, overly cheerful and hungry. At high doses, some of them have confusion while others – an unjustified aggression. Externally amateur to “smoke” can be recognized by dilated pupils, red eyes and lips and a strong sense of thirst. What are the diseases of addicts? 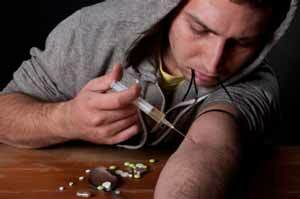 The body of a drug addict is prone to risk getting a hard disease is much more, than the organism of a healthy human. The reasons for this are simple: ignore the rules of hygiene and “pumping” the same organism with strong drugs, artificially changing the rhythm of his work (heart, brain, nervous system). All of the above diseases are in a group of heavy with a high probability of death in advanced form. This impressive list, at least, should make human wonder if not scare about using drugs, especially intravenously. Many addicts having suspected contamination of a particular infection, are afraid to ask medical help, and especially from the families under threat of being caught in connection with drugs. 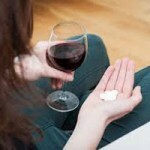 So most often the addict continues to live the same life, letting the course of serious illness as it might. The result of this negligent attitude to yourself can be all sorts of complications or even death. And, it’s important that the pain inflicted by concomitant diseases, no less, but, on the contrary, is much stronger than the pain during the “break-up”. What is a drug addict without drugs? 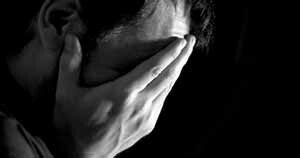 Lack of drugs in the life of a drug addict makes it unbearable, full of pain and suffering, both mental and physical. A person, who is a friend with the drug, usually tries to conceal his “habit” of relatives and friends in every possible way. But the secret always becomes obvious. Withdrawal syndrome or simply “sweats” – is the worst condition for the addict, which every one of them feels as soon as a dependent body does not get another dose. There is an opinion that “sweats”, or more precisely from those painful and agonizing sensations that accompany it, the person may die, but it is not. Often, addict’s sufferings are quite exaggerated, because it is easier to get a new dose of the drug. In medical practice, there are no reported cases of death from withdrawal syndrome. The start of withdrawal symptoms is like colds cough symptoms, runny nose, weakness, paleness. If the drug did not enter the body, the muscles would begin to whine and chilling, so the addict can often be caught in a convulsive rubbing of hands and feet. Then the period of immobility comes, when a person is in the boundary state between wakefulness and sleep. You should not leave an addict alone with his pain. It is better to trust the healing process to drug specialists in this sphere. At the initial stage, they support the patient’s body with a large number of vitamins and minerals, trying to reduce his pain as possible. As a rule, during the first days an addict loses appetite and sufferers from indigestion. All this leads to a strong physical and moral exhaustion of the body, the effects of which is prolonged depression. After leaving the apathetic state, the addict can still dream of a new dose of narcotic substances, and may, on the contrary, try to forget everything that happened as a bad dream. It’s possible to make a human to give up this or that harmful addiction, but it does not make any sense. If you weaken the control, and a drug addict will take another dose. Therefore, it is necessary not only to purify the body but the mind too. And this can be done best of all in drug treatment clinics rather than at home.